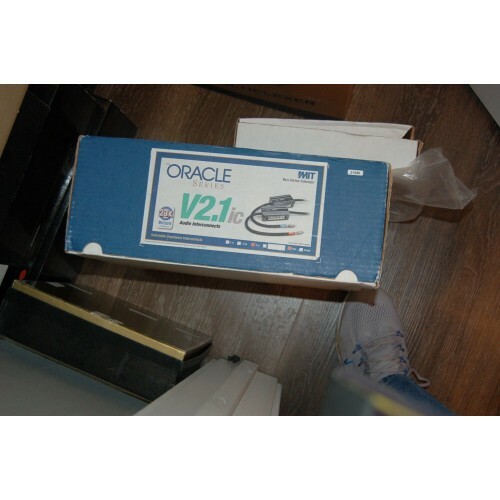 MIT ORACLE V2.1 IC-RCA 2m cable pair, adjustable impedance system with box. very good condition. some minor fading/scuffing on shrink wrap. Sound	"Notably relaxed and highly detailed"; "individual sonic events emerge from the quietest, blackest background…and then materialize with all of the very finest detail and most minute spatial cues intact -- and in lifelike relation to each other"; "just sound more clear and intelligible"; bass, in particular, "is very deep, very powerful, taut, and has terrific dynamic shading." Features	Highly refined networked cables that are tailored to the equipment with which they will be used; integral impedance switching for optimal electrical connection of components. Use	"Before ample break-in, the Oracle v2.1 cables sounded fuzzy, constricted, and dynamically dead -- a sonic mess. Luckily, their sound improves markedly in short order." Networks are "large and heavy, and they often make it difficult to snake the cables around other components and equipment racks." Value	"In the case of MIT Oracle v2.1, you really do get more when you pay more." While it's almost impossible to convince most audiophiles of the efficacy of cables that cost what the MIT Oracle v2.1s do, I have to say that their sound speaks very loudly for them, and this minimizes the shock of their price. They seduced me with their unique and enthralling musical presentation, and in the process realigned what I have come to think of a cable's contribution to reproduced music. 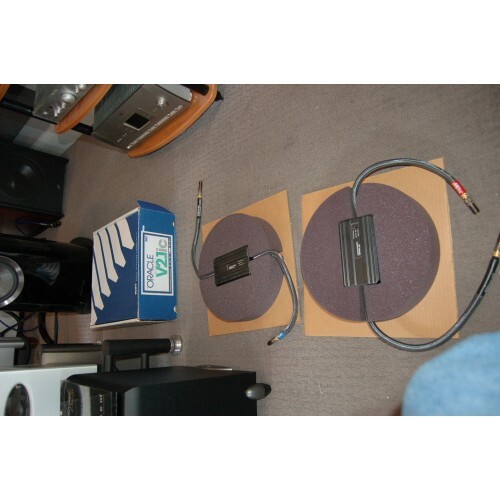 Cables can very much be a matter of proper mating with certain components, and I would be doubly cautious in recommending these Oracle cables if there weren't different versions to mate with different kinds of electronics, thus giving you a better chance of hearing at home what I heard in my listening room. I've reviewed a smorgasbord of accomplished cable designs over the last year or so, and while none has cost as much as Oracle v2.1, none has also impressed me as much either. I wish I could offer some insight that wouldn't be ammo for all of the audio cynics, but I can't. It's clear to me that the most expensive cables I've heard are also the best. 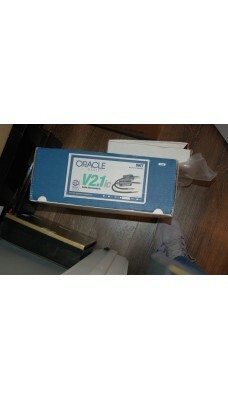 In the case of MIT Oracle v2.1, you really do get more when you pay more.